Most of us tuning into Sunday’s telecast of the Golden Globe Awards will be hoping for a few memorable one-liners from hosts Tina Fey and Amy Poehler or maybe a standout acceptance speech from an Oscar hopeful putting the finishing touches on some Academy Awards preparation. A smaller sliver of viewers, however, will be tracking to see how winners might help pull the larger Oscar picture into focus. Quite often, a win at the Globes can procure valuable momentum leading into the announcement of the Academy Award nominations, which will take place on Thursday, January 15 this year. To that small group, I offer one quick reminder: Be prepared for at least one WTF head-scratcher. Because the Globes have separate categories for Drama and Musical/Comedy, it’s a little easier for the Hollywood Foreign Press Association to spread the wealth to deserving films (than it is for, say, the Academy). But that also means the Globes have double the chances to whiff, as they have done multiple times over the past few decades. I went back and looked at the Golden Globes winners for the past four decades, hoping to give you a little perspective. On Monday morning, when we are talking about this year’s Golden Globes winners, just remember that they join an "illustrious" group that also happens to include these trophy holders. Tim Burton makes good movies, but rarely is his name – or the titles of the films he directs -- in the awards conversation (as the good folks pushing Big Eyes learned this year). 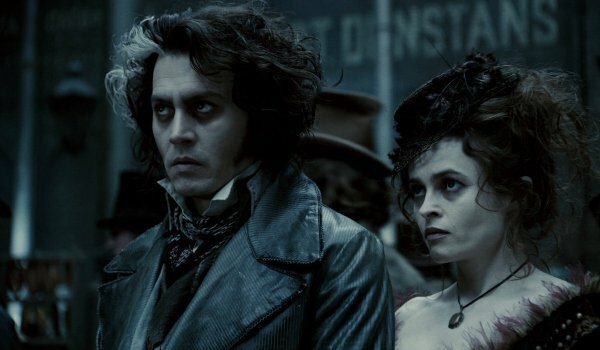 Sweeney Todd, like most of the films that I’ll mention on this list, is a serviceable movie, yet another gothic collaboration between Burton and his muse, Johnny Depp, though one that – sadly – put a lot of stock in Depp’s ability to sing. The strange thing about Sweeney Todd’s Golden Globes win in 2007 is that it wasn’t even the best musical in its category. That distinction belonged to Adam Shankman’s effervescent and irreverent Hairspray -- which joined Juno, Charlie Wilson’s War and Julie Taymor’s imaginative Across the Universe in the Globes’ loser bracket. Can anyone tell me what Scent of a Woman is about? Anyone? We all remember Al Pacino’s "hoo ah," and the courtroom scene during which the line was delivered (for the umpteenth time). 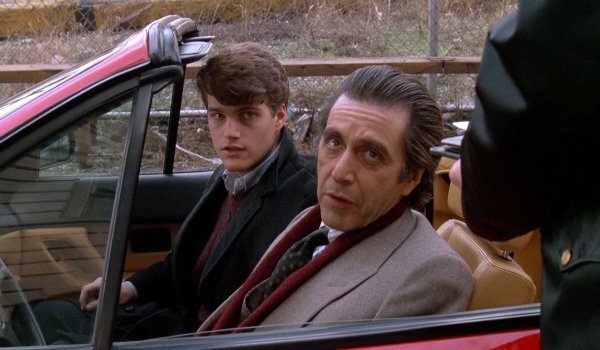 But outside of that, Martin Brest’s movie is mainly recalled as the film that finally earned Pacino his Oscar. Not Serpico. Not Dog Day Afternoon. Not The Godfather Part II. Scent of a Woman. The Globes went one step further, also handing Brest the Best Motion Picture – Drama prize in 1992 over The Crying Game, Howard’s End, A Few Good Men and Clint Eastwood’s Unforgiven. Can we ever forgive the HFPA for this oversight? 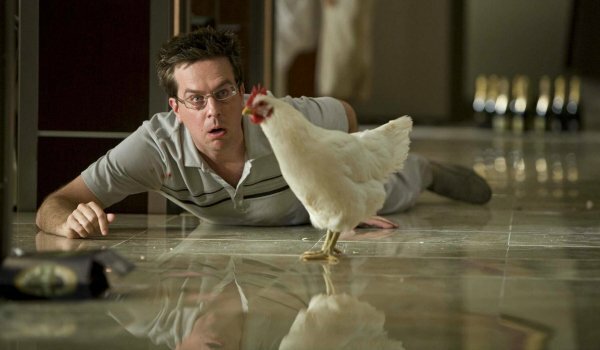 When you refer to Todd Phillips’ The Hangover in conversation, we’d prefer that you use its proper title, "Golden Globe winner For Best Motion Picture – Comedy, The Hangover." That’s right, a movie that had a naked Ken Jeong springing from the trunk of a car to attack Bradley Cooper, Ed Helms and Zach Galifianakis with a tire iron won a Golden Globe for Best Motion Picture. Listen, the first The Hangover had funny moments. The three guys had real chemistry, and the shock value of the premise was enough to carry it at the box office. It was a huge hit. But did it deserve to win a Globe over Marc Webb’s 500 Days (of Summer) or the Meryl Streep/Amy Adams comedy Julie & Julia? That’s up for debate. 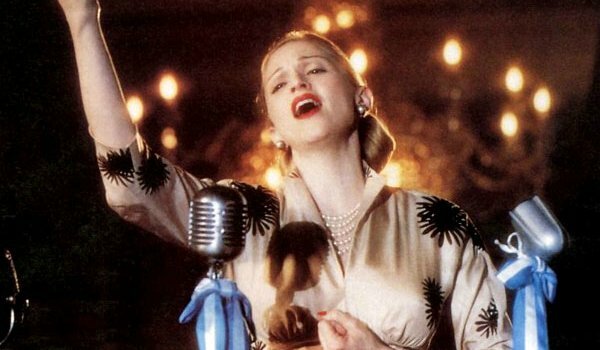 No one is crying for Evita, the silver screen musical fashioned around the world’s biggest pop star at the time – Madonna. The musical collaboration of Andrew Lloyd Webber and Tim Rice has been a mainstay on the Broadway stage for a reason, and their original song "You Must Love Me" charmed the Academy back in 1997. The Globes, however, went even further by handing their Best Motion Picture – Musical/Comedy to Alan Parker’s competent, stodgy political adaptation… besting the likes of Fargo, Jerry Maguire and The Birdcage. (!!!!) The HFPA loves their musicals, rewarding Moulin Rouge, Chicago and Dreamgirls over the years. Evita does not belong in that class. The Globes love nominating Hollywood "royalty" so that they will attend what has become – over the years – a television product driven by brightly shining celebrities. This is why Angelina Jolie and Johnny Depp were nominated for the lump of coal that was The Tourist, and also why Barry Levinson’s Bugsy earned multiple nominations. The allure of having posh real-life couple Warren Beatty and Annette Bening front and center for the Globes show was too much to resist. This much, we can understand. 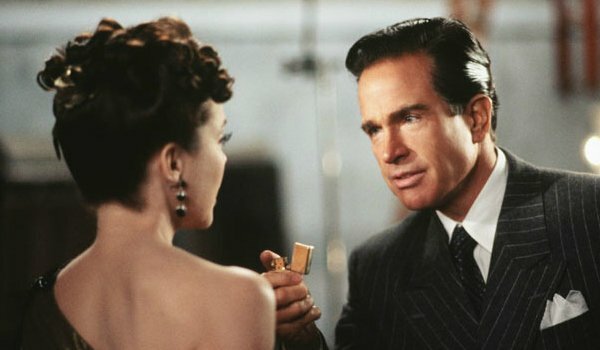 How the period drama/biopic topped its competition in 1991, however, remains a mystery. Levinson’s film beat out JFK, The Prince of Tides, Thelma & Louise and the eventual Oscar winner, Silence of the Lambs. If there’s one genre that the Golden Globes historically love more than musicals, it’s romantic comedies with a pedigree. As Good As It Gets, Working Girl, Romancing The Stone and Almost Famous all found victories in the Musical/Comedy category, which helps explain how Peter Weir’s Green Card rose above the pack back in 1990. Again, and this is a recurring theme, Green Card isn’t a bad movie. It’s perfectly fine, riding on some endearing chemistry between Andie MacDowell and Gerard Depardieu. But is it better than Ghost or Pretty Woman? Hell, is it better than Home Alone? Because it beat all of them that year at the Globes. Few love Joe Wright as much as I. 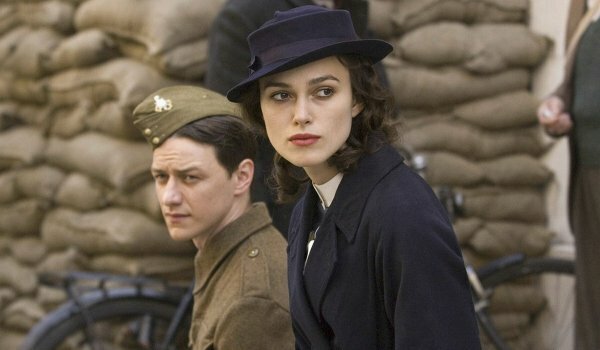 And Atonement is a fantastic film – a stifling, passionate and ultimately soul-crushing story of unrequited love that tells how two potential mates (James McAvoy and Keira Knightley) are torn apart by a lie, then kept apart by a war. The Globes sometimes favor international stories, because the films are selected by the Hollywood Foreign Press Association. And it’s possible that they thought they were getting ahead on the curve with Atonement. But Wright’s artsy drama beat out Michael Clayton, There Will Be Blood and No Country for Old Men in 2007… and in hindsight, I’m not sure anyone can agree with that. Remember when I just mentioned how the HFPA tends to favor foreign films, particularly in a tight race? 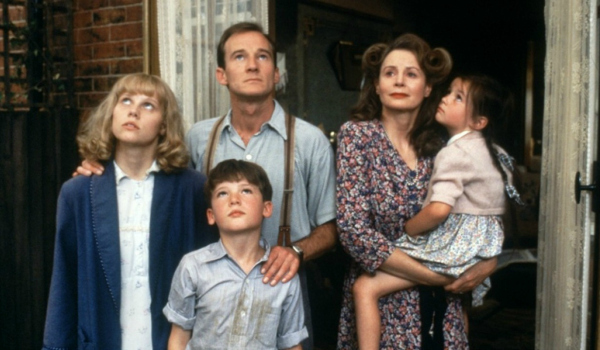 I have to assume that’s how John Boorman’s charming, autobiographical Hope & Glory squeaked by Moonstruck, the crowd-pleasing Dirty Dancing and freaking Broadcast News to triumph at the Globes in 1987. The British-based World War II comedy-drama certainly had support, but belonged in the category of "happy to be nominated." While it’s likely better remembered by UK crowds, it walked out the venue with a Best Motion Picture statue under its arm that night. 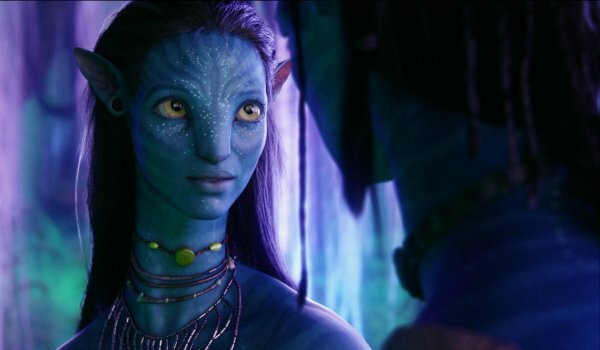 The trend lately is to wonder why James Cameron’s Avatar has all but disappeared from the pop-culture landscape, despite the fact that it holds the crown for being the highest-grossing film of all time. OF ALL TIME! Cameron loves the movie. He’s planning multiple sequels. But it’s hard to find fans who truly love Avatar outside of Cameron. I think, back in 2009, the Globes felt Avatar would pull a Titanic and sweep the awards season. It didn’t, losing to The Hurt Locker. But before that happened, Cameron’s 3D blue adventure beat out Kathryn Bigelow’s tense-as-hell war-time thriller. Does that make sense? 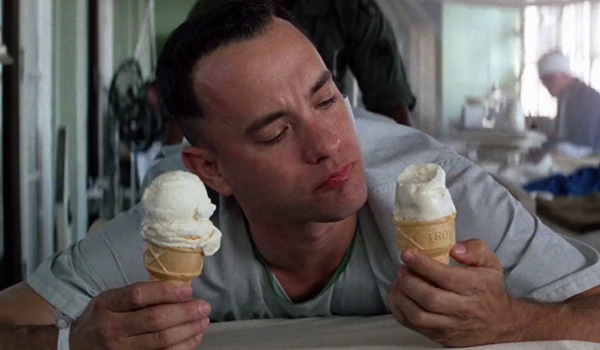 Forrest Gump is not my favorite film. It’s goofy, contrived, and sickeningly saccharine. I didn’t care for it in theaters, and then downright loathed it as it steamrolled through the awards season in 1994. Why? Partly because I personally didn’t feel that it earned the accolades. But also because every trophy collected by Gump was one less piece of hardware for far superior films like Quiz Show and Pulp Fiction. Gump was a steamroller that year. I still don’t understand it, but I’ve come to accept the fact that I’m in the minority, and Gump was the people’s choice that year.